This series has been established in recognition of the resurgence of interest in political psychology and public opinion in recent years. 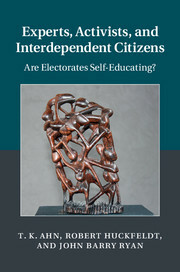 The series focuses on work that pertains to the fundamental question: What kinds of mental processes do citizens employ when they think about democratic politics and respond, consciously or unconsciously, to their political environments? The emphasis is on systematic and rigorous empirical analysis and a wide range of methodologies are employed, including traditional surveys, experimental surveys, laboratory experiments, focus groups, and in-depth interviews. These empirically oriented studies consider normative implications for democratic politics.